I began fishing when I was 6 years old, for bass, carp, bluegill, etc…The pond fish if you will. When I was 12 years old, I started sneaking out to the pond in my backyard, with my dad’s fly rod and without his consent, and started trying to learn to fly fish. Eventually I got caught using my dad’s gear, and he taught me a couple of things. My dad wasn’t the best of fly fishermen, but it was a good starting point for me to quickly realize, “time to get rid of these spinner rods”, fly rods are much more fun to catch fish on! I didn’t really get rid of the spinners. Soon after this, and with the help of a good childhood friend, I caught my first rainbow trout on a fly rod! It was all over after that!! I FELL IN LOVE WITH FLY FISHING. There’s no place I’d rather be than on the water! Whether it’s in my boat hucking streamers for big ‘ole bucknasty browns, or just out wade fishing for a nice relaxing afternoon. Getting out and trout fishing is not just about catching fish all the time. Sure that’s awesome, but that’s the extra bonus sometimes. 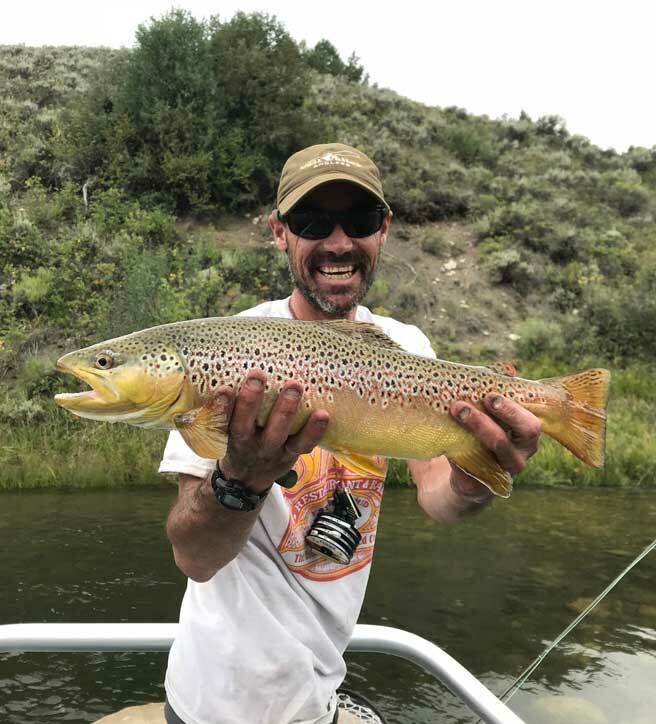 It’s also about the gorgeous places you get to be when you’re catching trout, enjoying nature and getting to enjoy nature and a bask in the beauty of trout’s home.